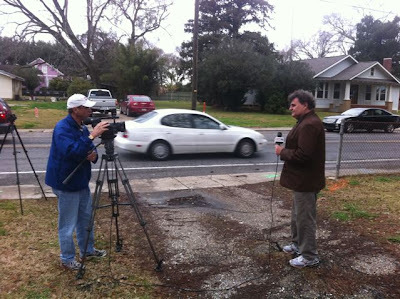 said George Rodrigue when he found out about the 250-year old Youngsville Heritage Oak, destined for destruction next month to make room for a temporary road. 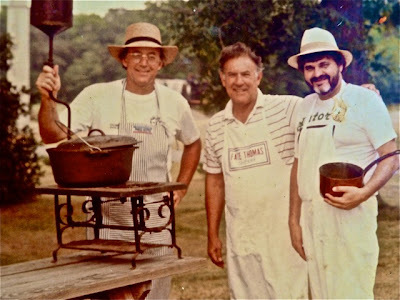 George’s connection to the small Louisiana town called Youngsville, near Lafayette, was his best friend Romain Fruge, who lived there near the end of his life. Originally from Arnaudville (like all Fruges), Romain was in the military, retired as a colonel, and worked for years in the space administration. He told us stories of meeting Martin Luther King, Jr., flying across the world on missions for the President, and exploding large balloons in space. 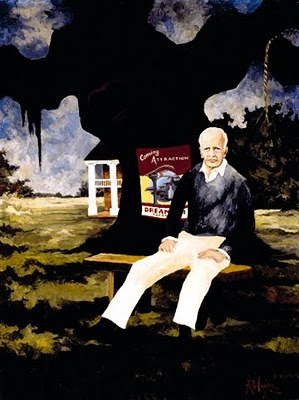 After retirement in the early 1980s, Romain returned to the Lafayette area, eventually purchasing a house in the community of Youngsville, settled by the Acadians in the early 1800s. Together Romain and George visited Morvant’s Bar & Grill, probably the most famous place in Youngsville, a hamburger joint established more than fifty years ago. They traveled the United States and Europe opening art exhibitions, and they hit the road every few weeks in George's blue van, delivering paintings to clients. They spent nearly every day together for close to twenty years. George and Romain established their history not only through art and friendship, but also through Flora Levy, Romain’s bank teller in Lafayette for many years. She inherited late in life a large estate from her two brothers, leaving all of the money and land upon her death to the University of Louisiana at Lafayette (then called the University of Southwest Louisiana). During her later years she funded the Flora Levy Lecture series at USL, featuring such distinguished speakers as Walker Percy, Isaac Singer, and Bruno Bettelheim. As a last request before her death, Flora commissioned George to paint her portrait. The university, however, argued among its staff for years about placement, and so under bizarre circumstances it hung over Romain’s bed for more than a decade, until his death in 2002. Today George avoids these sorts of conflicts and commissions. 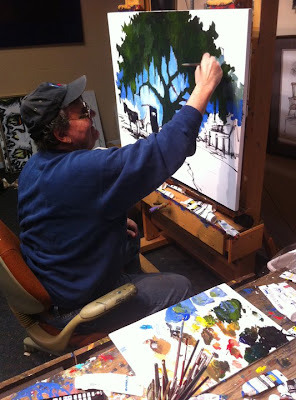 He painted the Youngsville Heritage Oak quickly, over about fifty hours this week, with a personal goal in mind. 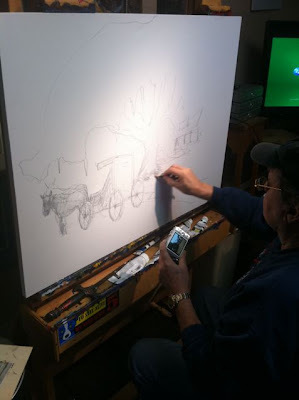 He’s on a mission, making prints of this painting to raise at least $250,000, with hopes that the city might move the road, cancel the road, or as a very last resort, move the tree. “The city of Youngsville owns the tree. If this were my decision, the oak would stay exactly where it is, and the road would go around it. My goal is to stop them from making sawdust out of this magnificent monument to our Cajun heritage. 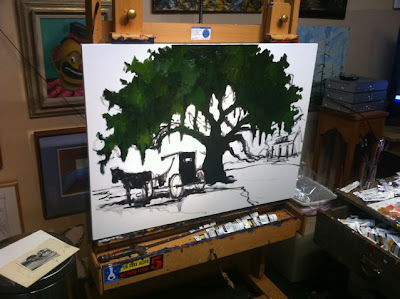 "This painting is typical of my classic oak tree style. 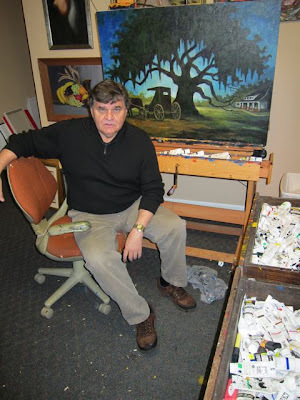 I first started painting these trees in the late 1960s and early 1970s after returning from art school in California and realizing Louisiana’s unique culture and landscape compared to the rest of the country. 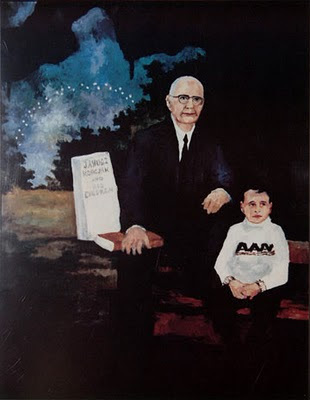 I cut the shape of the oak off at the top of my canvas so that we see the sky from beneath the tree, just as one sees it while standing in the shade of the Youngsville Heritage Oak." 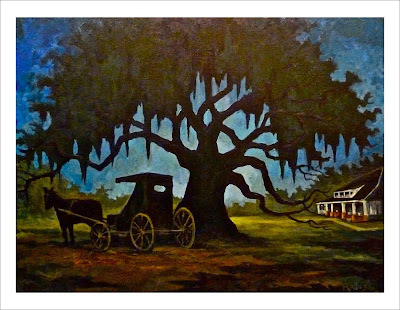 "The house in the painting stands today near this magnificent tree, and the horse and buggy (not as bygone as one might think) come from a photograph (above) I shot outside of a country store in the Fruge hometown of Arnaudville in 1967, when farmers in the area still used this form of transportation.” – G.R. I leave you with a short but sweet story about our friend Romain, who lived with us in Lafayette between 1997 and 1999. One evening around dinnertime he walked through the kitchen on his way out of the door, as he had every night since moving out of our house and to Youngsville a few months before. Still romantic and vain when it came to the ladies, he refused to wear his hearing aid, lest its appearance cramp his style. Oh Romain. What a man. Saving this oak is a wonderful thing to do in his memory. An old oak IS part of a heritage. I love imagining all that it has seen and heard. If only it could speak. 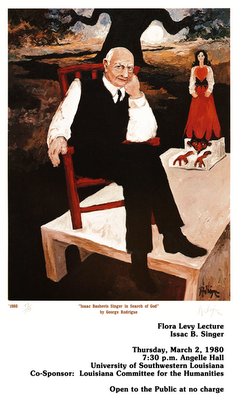 George Rodrigue is to be commended for supporting this cause. 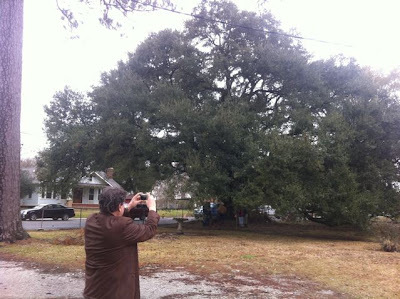 His influence towards preserving the Youngsville Heritage Oak will matter quite a bit. Enjoyed getting to know Romain. That is absolutely criminal! This Oak is the heritage of all of us Americans! It thrives from the roots of our history! Thank you so much for trying to save this living historical monument! I hope all of the people rise up against this obviously shallow plan! May they form a human chain around the Oak in protest! for the alternative route thanks to another Youngsville resident that is offering her land. People caring and taking action are powerful. The almost unanimous outcry is behind saving this tree, so I don't see how that can be ignored...but you never know. As someone born and raised there (as were the six generations before me), I cannot offer enough thanks to the Rodrigues for supporting this cause in such a big way. My grandmother lived in the house across the street (built in 1880) which belonged to her grandfather, Harrison Theall -- the 2nd mayor of Youngsville. She lived to be 100 and shared wonderful stories of the "old" Youngsville. Coming to "town" on the 27th for a deClouet family pow-wow (I live in Mobile, AL). Do you think that the prints will be ready then? I'd like to pick it up rather than ship. Would you all happen to be in Lafayette then? Would love to meet you and George. Thanks again for everything you're doing to help us! Than you so much, Dawn. Your words above add a great deal to this post. I had intended to quote you before I started writing, but my memories of Romain distracted me. 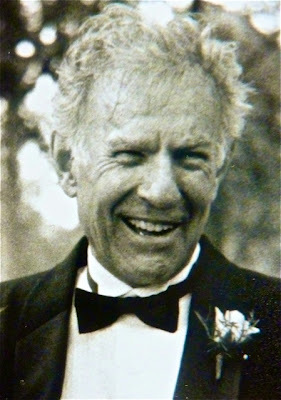 So, I suggest to all of you reading out there that you visit: http://musicmaven.wordpress.com/2011/02/04/my-life-as-a-tree/ (you will probably have to copy and paste the link into your brower), where you'll find beautiful stories and photographs from a Youngsville native. It is very likely that the prints will be ready by the 27th. George and I are sorry that we will miss you, however we live in New Orleans these days and are not in Lafayette as much anymore. 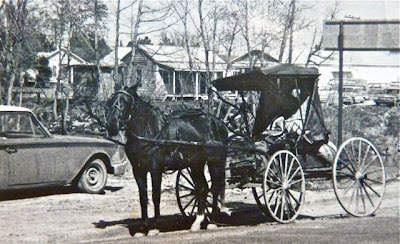 Wendy -- Thought that you and George would enjoy this photo of Youngsville in about 1938...dirt road, horse and buggy. This was taken from my grandmother's porch on Church St. (Main street) On the left is my Uncle Harris Morvant, who is now 85; their neighbor Anna Baudoin Larrivierre (whose daughter, Anna Faye, is the Superentendent of the Diocese of Lafayette Catholic Schools) -- deceased; and my Mother, Nell Morvant Vallot, who will be 80 in July. Wonderful photo, Dawn, of a bygone era. Thank you for sharing!